Spring Sale! Call now to find out how much you can save on any of our tree services! Welcome to AK Timber Services, LLC! AK Timber Services specializes in offering complete tree services for Vancouver, WA, as well as Portland, OR. We’ve proudly & efficiently served both cities and their surrounding areas since 2011. Headed by Aaron Krieger, ISA Certified Arborist (PN-8224A), we are licensed, bonded, and insured in both Washington & Oregon – and are extremely familiar and knowledgeable with the environment, climate, and tree species of the area. At AK Timber Services, we believe in providing quality tree services – including tree removal, tree trimming, risk assessment and more – to help residential and commercial customers maintain both beautiful and useful trees. This increases your property value while preventing possible tree related liabilities. We are committed to ensuring customer satisfaction and taking the time to have a conversation (give us a call at (360) 635-1076) with our customers about their needs, wants, and expectations – and anything else that might come up in a good conversation. Fill out the form below to request a free estimate from AK Timber on your tree service needs in the Vancouver, WA area. As one of our most important and experience-critical services, tree removal is not taken lightly by the certified arborists at AK Timber Services. Our Vancouver tree service is dedicated to providing the utmost in customer satisfaction and removal quality. When you need a tree or stump removed, we strive to be your go-to team to call before you even have to think. Have an unhealthy tree? Or, perhaps you simply have a ‘problem’ tree currently blocking you from building a new structure or viewing the beautiful scenery around your home or business? Give us a call at (360) 635-1076. We’ll schedule a time with you to come to your home or business and evaluate your tree(s). Our estimates & evaluations are 100% free. Whether you have one or multiple trees needing to be removed, our initial visit & bid are complementary. We don’t charge you until we get to work on your tree removal. If you choose to use us, our arborists at AK Timber Services will walk you through, step-by-step, what we plan to do on your service need before we get started. You are encouraged to call us at (360) 635-1076 if you have any questions at all about your tree removal need. Whether you’re in Vancouver, Portland, or the surrounding area – we’re here to help! One of our favorite services to perform: tree pruning is a popular request from both our new & current customers, alike. AK Timber Services has built a bit of a reputation in the Vancouver, WA area (including Portland, OR) for our extreme attention to detail in every tree trimming for which we are hired. We wouldn’t have it any other way! Tree pruning & trimming are not simply taking a pair of clippers to a bit of shrubbery and calling it a day. Sadly, how many times have you looked at a tree and been able to identify haphazard cuts and hacks? This is the tell-tale sign of a tree pruning gone wrong. After all, when a tree is properly trimmed, one should hardly be able to notice the tree had ever been worked on. Give AK Timber Services a call here: (360) 635-1076 for a free estimate on your tree pruning needs. Our trimming team will be out to your property for a thorough evaluation. You’ll receive a free quote covering the work we would anticipate performing for your tree or trees that are in need of pruning. Should you hire us, we’ll set up a time for our arborists to visit your property once again and do the work. We won’t stop until you’re satisfied – just as we care about our pruning quality standards, we care even more for our happy customers. Why is Tree Care Important? 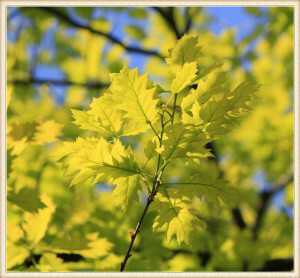 Trees provide habitat and food sources to our local wildlife, shade from the summer sun, protection against wind and storms, privacy, delineates property lines in a more natural way, and bring a more serene sense of nature to our urban Portland and Vancouver environments by adding color and beauty to our homes and workplaces. Trees also absorb pollution, help fight global warming, and add a significant increase (making up between 5% and 20%) to a home’s value. Let us take care of your trees: protect your home, protect the environment, and protect the people around you. Why Choose Us for Your Tree Care? 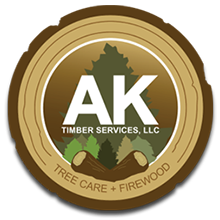 AK Timber Services specializes in complete tree care: tree pruning, hazardous and dangerous tree removal, emergency tree care services, tree planting, cabling and bracing, stump grinding, plant health care – and much more. Our owner, Aaron Krieger, is ISA Certified, and we believe in training all of our arborists in the correct way to prune and/or remove trees. Furthermore, we believe that trees should NOT be topped. This is not only aesthetically unpleasing, but is not a good practice to utilize and can ultimately damage the tree further. We also take pride in our safety practices and utilize the highest standards and practices of safety in the industry. We are committed to excellent customer service & tree care in our community. Why AK Timber Services Stands Out? AK Timber Services strives to be eco-friendly and green. We use non-petroleum based oil, which is vegetable based, biodegradable, and plant friendly; eliminate paper waste through encouraging paperless transactions whenever possible and convenient for our customers; and recycle job site wood waste by turning it into wood chips, firewood, and/or lumber. We work closely with local gardens and donate wood chips to several locations across the Vancouver & Portland Metro area. We take into consideration our fuel use and attempt to schedule jobs and bids based on site locations, which are grouped close together in proximity. AK Timber Services isn’t only concerned with the trees on the designated job site; we want to ensure we’re doing our part by promoting environmentally responsible practices. For a free estimate and to inquire about services, please Contact Us by filling out our easy contact form or call (360) 635-1076 at your earliest convenience. © 2019. AK Timber Services, 12202 NE 23rd St, Vancouver, WA 98684 - 360-635-1076. All Rights Reserved.